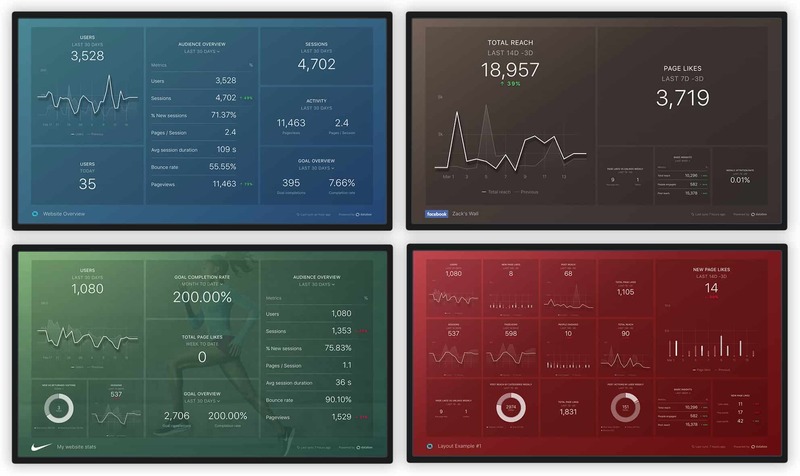 A Datawall is a specific (desktop) view of your Databoard that’s designed to be displayed on TVs or large monitors throughout the office or on the sales floor. You can also view them on your computer, and you can configure as many Datawalls as you like, right from the Databox Designer. A Datawall also consists of datablocks.